The “Shot Doctor” shares the key elements of the shot, how to teach them to your players and how to make them better shooters. In this presentation, Coach Magee breaks down the art of shooting into four points of emphasis to teach and become a great shooter. You will learn the key elements of the shot, how to teach them to your players and how to make them better shooters. 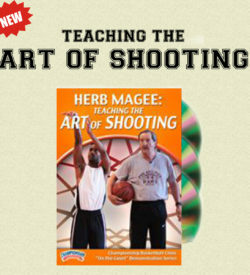 Coach Magee begins with an introduction of shooting mechanics, shows how to identify errors in technique and how to teach a proper shot. It's important for both the coach and player to understand “why” a shot missed so that corrections can be made. Shooting Hand – Learn proper hand placement and span for great control of the ball. Discover effective methods for self-evaluation, the four noises in shooting, three key points about the position of the ball and holding your release. Guide Hand – An often neglected component of the shot is the guide hand. A bad shooter most likely is not using the guide hand properly. You will learn the critical elements of hand placement, the point of release and how to “fix” a player's misuse of the guide hand. Legs – Footwork is just as important as the shot itself. While Coach Magee acknowledges differing philosophies of shooting footwork, he explains his proven technique and why it's the most effective. Target – No matter how good the shooting form and technique, if a player doesn't aim for the right spot the ball will not “swish” through the net. 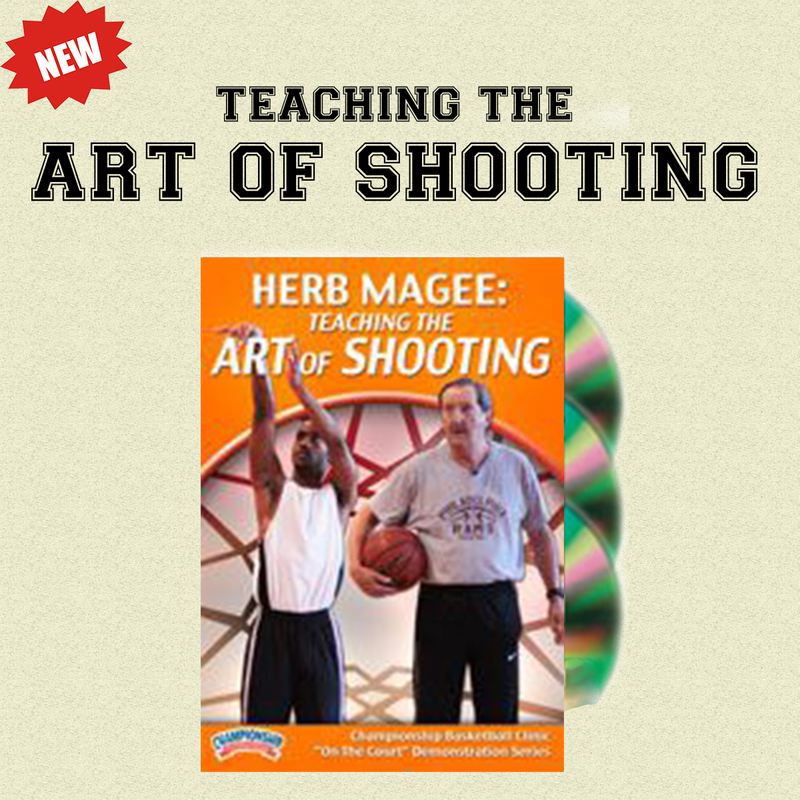 Coach Magee's technique is simple to teach, simple to assess and provides simple fixes after a missed shot. Once you've developed great shooters, it's time to give them opportunities to succeed. With over 1,000 wins, Coach Magee knows how to get his players open shots. He closes out the session with a couple of plays designed to get shooters open – including a play the Golden State Warriors use to get Steph Curry a great look at the basket. Coach Magee will tell you he's in the Basketball Hall of Fame not because his teams relied on a “system” to win over 1000 games – it's because his teams could shoot better than their opponents. Making shots leads to wins. In this shooting clinic, you will see why NBA players and teams that need shooting guidance have called on Coach Magee for more than 30 years. All orders will be processed for shipping within 72 hours of receiving it. Please be informed that no orders will be processed or delivered on Saturdays, Sundays and public holidays. Delivery for shipments is estimated to be a maximum of 2 weeks. Although most parcels arrive within this time frame, there can be delays due to factors such as a high mail volume, security concerns, and time needed to clear customs. HerbMagee.com has no control over the postal services and therefore cannot and will not guarantee arrival dates or give credit for delays in shipping. We use USPS to make all our shipments. In the event of delays, every effort will be made to contact you. If you do not wish to wait for the availability of the item, you may cancel your order. If we do not hear from you however, we will assume you agreed to the shipment delay. Shipping charges and tax are not included inside the price of your purchases. Only PA residents pay 6% sales tax which will be included inside the price of the DVDs. For tax regarding international shipping, please refer to the “International Shipment” section. HerbMagee.com ships internationally outside of the USA. However, we have the right to exclude shipping to certain countries. We seek your understanding for the longer time required for international shipments. However, if your order does not arrive within 30 days, we can place a claim with the US Post Office for a lost parcel. Under US Postal regulations, this is the earliest we can ask for a claim inquiry. It can take an additional 30 days for the Post Office to investigate. Please note that your parcel may be subject to a customs, duty or VAT tax. The regulations concerning whether or not your order will be subject to the mentioned charges varies by country, and it is the customer’s obligation to obtain information concerning these taxes and pay them if neccessary. You can find this information by contacting your postal office or customs office. Returned items must arrive back to us undamaged and unopened in a saleable condition (For exceptions, please see our Money Back Guarantee section below. Refunds will be issued by check. We do not refund shipping. If you decide you to cancel your order, please e-mail us immediately at kaymagee@herbmagee.com. If we have already shipped the product, you may return it under the conditions stated above. 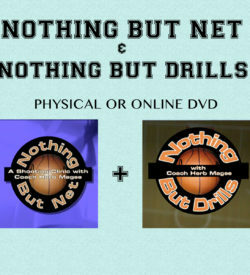 Only the “Nothing but Net” and “Nothing but Drills” DVDs are satisfaction guaranteed. In the unlikely event that the product does not meet your expectations, please use the above address to return the items. Returned items must arrive back to us undamaged. Please note that we will not refund any shipping charges incurred.